Deliverance from possessing spirits is a subject which seems to have been treated by the majority of churches in one of two detrimental ways. The most common treatment of the subject of spiritual invasion in the Christian community is to avoid it entirely. A host of excuses are offered up as justification for this when it is questioned such as… giving attention to such a subject is empowering to the enemy in some manner… giving Satan attention when it should be focused on YHWH. Another justification is to say that such incidents are so rare as to not call for any serious concern, or that it simply Never happens in this modern age. There’s surely no biblical foundation for the last two of these excuses for avoidance of the issue of possession. Not only is there a pointed lack of scriptural support for the idea of possession being a phenomenon which faded into obscurity, but the end times are defined in terms of demonic and fallen angelic activity on earth. The anti (or pseudo) messiah would naturally, himself, be expected to be possessed specifically by Satan. I don’t think we would realistically examine the state of the world today and come to the conclusion that it seems like a world Less influenced by evil entities than it was in times past. As for giving the enemy attention or empowering him thereby, I simply fail to understand in what way we advance the agenda of the enemy by becoming active in the freeing of his prisoners in the name of our Savior. By what stretch of the imagination do we glorify Satan if saints are equip with the weapons of spiritual warfare in order to combat his tyranny over our fellow brethren? It would seem this argument is a born out of a similar origin as the accusation itself would imply. A hesitation derived out of an ingrained fear of the enemy… a “leave the Devil alone and he’ll leave you alone” mentality. Sadly there have been, and are untold numbers of, people who have found themselves in a situation of spiritual harassment or control from which they can neither extract themselves, nor find anyone to take them seriously enough to offer their help. These individuals often find themselves taken advantage of by the predatory institution of psychiatry… forced to medicate themselves or to be caged like animals. Their friends and family are likely to not understand the situation, and it is considered an indication of insanity in itself, or at least of backward ignorance if the term “demonic possession” is brought up. Spiritual invasion and possession begin in sin… at times it is a sin which has not been committed by the victim themselves… but a sin which an ancestor gave themselves or their family over to. 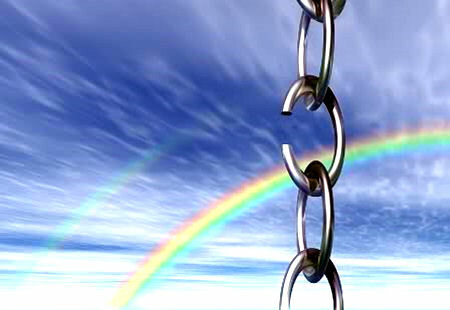 Spirits hold human beings captive by way of legality, they are not empowered to simply choose anyone they wish as their physical host, but require that some “breach” has been made by way of transgression against YHWH. As a piece of real estate… a “deed” is passed over to a spirit who has succeeded in obtaining that legal authority over a human body, and as children are under the spiritual ownership of parents… that child’s “deed” automatically belongs to the one in the highest spiritual position of ownership…the one “holding the deed” to the parent. This should come as a warning to those who meddle in a life of consistent sin… not only is there the danger of coming under the control of evil entities… but the danger of passing those attachments on to later generations. Regardless of whether the reason for the possession of an individual is personal sin, or generational (and those generationally possessed often carry on the same sorts of sins their ancestors did)… the attitude and approach of the believer to victims of spiritual harassment ought to always be compassion, not judgment. This is not to say that we do not have an obligation to insist that a victim come clean of sin before deliverance takes place… but that we must keep always in mind that, but for Grace, we would be in no better circumstances. Likewise, we should be ready to take seriously what a victim tells us is happening to them… I would rather needlessly go through the motions of deliverance, than turn my back on a person who genuinely needed help out of some prideful need to not be a “sucker”. As mentioned earlier, there are two approaches to spiritual invasion into which many churches fall, that are detrimental to a correct way to deal with the problem. Some avoid it… and others Revel in it. What is meant by “reveling” in it, is that these groups tend to throw themselves into deliverance in a very ritualistic, sensational way which leaves one with the impression that the service being done for the victim is second to an “experience” for the one doing the deliverance (or for an audience). The idea that casting a spirit out of a human being ought to come with a scripted liturgy of things to say to the spirit, a long list of inquiries which to ask, a great deal of yelling, screaming, head spinning melodrama… or that the event must be presided over by a specialized exorcist such as a priest… is all quite Hollywood and not biblical. A sincere believer in Yahushua who is mature in their faith and a victim willing to turn to their Savior and repent is all that is necessary for the success of a deliverance. Although there is certainly a potential for strange things to happen when dealing with a spirit being… generally you will not find that the event is packed with “supernatural fireworks”. Deliverance should begin in pinpointing the transgression which gave legality for the possession to occur. This should be followed by an assurance from the victim of willingness to change their life and give it wholly to Messiah… insincerity in this can result in worse outcomes than simple failure to cast the spirit out, this can eventually lead to a state of possession which is much worse, and the victim needs to be warned of this. this is a prayer of confession before YHWH, and is ended in the name of Yahushua, by whom comes deliverance. It is not a necessity to learn the name, the variety, the function or the number of spirits from the entity itself, as long as the lack of these points of information are not a hindrance to completing the deliverance. The victim himself can more than likely produce an answer to what the spirit’s function is by knowing what area of their life is affected by it. In a case where it is suspected that there are many spirits, and it is necessary to know if all of those spirits fall under one legal authority, interrogation of the entity might be useful, but should be pursued with cautious. The same applies to the function of the spirit if the right of authority comes generationally and the root is unknown by the victim. Manifestation of the invading spirit most often occurs at the point when the victim begins to confess and renounce. At this point, the spirit realizes that his “castle” is about to be under siege, and he must commence some sort of defense in order to maintain his position. This outburst often consists of an adamant and angry insistence of ownership of the victim… “he/ she belongs to me!” This outburst is mostly designed to derail the deliverance and stop the victim from completing the prayer of renunciation. It is not yet time to deal with the entity… and the possessing spirit needs to be instructed to regress, and to allow the victim to resurface. All instructions given to the spirit should be done in the name of Yahushua… He is the one delivering, not the human being who is speaking the words – and it is of great importance that this is never forgotten. Commands by the individual conducting the process in their own authority (I command you to…etc) will most likely be met with failure. This process might be the most time consuming… and there is a chance, particularly with multiple spirits, that the interruptions will occur more than once… but once the victim has completed the renunciation, the rest should not be terribly involved. At this point it is a matter of instructing the spirit or spirits to leave in the authority of Yahushua. This might be met with resistance… shows of hostility and threats, but the appropriate response is simply calm and firm insistence on the superiority of Yahushua’s power. There is no need… absolutely none… for yelling and finger-shaking in the spirit’s face, or for childish insults. Believers who feel it’s their right or duty to behave this way in the presence of an evil entity are behaving ignorantly and foolishly, and possibly endangering themselves and the victim. We are never given authority to revile, demean or display hatred toward any enemy… human or otherwise, and to do so only puts a believer squarely in the camp of the enemy’s ways. They are not afraid to speak evil of dignitaries. 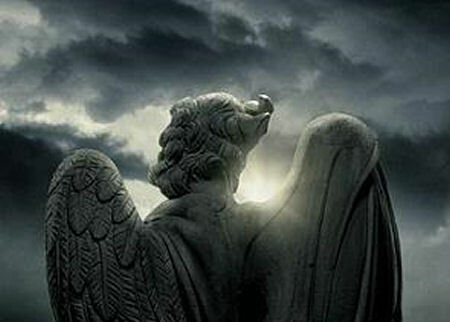 Whereas angels, who are greater in power and might, do not bring a reviling accusation against them before the Master”. “Likewise also these dreamers defile the flesh, reject authority, and speak evil of dignitaries. But these speak evil of whatever they do not know, and whatever they know naturally, like brute beasts, in these things they corrupt themselves”. The power of our Savior is sufficient to cast out every unclean spirit… He will never need our sensational shows of grand posturing to do so. Scripture states that our attitude toward deliverance should not even include any rejoicing that spirits are subject to us… but that our whole rejoicing ought to be the knowledge that we are bought by Him with a price, not because we are better than the lost, or even better than a fallen spirit… but because of His mercy. There is hope for the captives… that is assured by the fact that He came to set them free, and there is nothing He has come to do that will not be done. No matter the severity of sin or the length of time which a victim has been under the control of a malicious spirit… there is hope in Yahushua for freedom and a real life set loose from the bonds of Satan.